If you’re jonesing for a Quarter Pounder next Tuesday, you may want to hold off on your craving until the next day, lest you cross a picket line. The Associated Press reports that some McDonald’s workers have voted to stage a one-day strike kicking off at noon on September 18, “in hopes of pressuring management to take stronger steps against on-the-job sexual harassment.” The strike will affect multiple (but not all) restaurants in 10 cities: Chicago; Durham, North Carolina; Kansas City, Missouri; Los Angeles; Miami; Milwaukee; New Orleans; Orlando, Florida; San Francisco; and St. Louis. The AP says that this is the first such multi-state U.S. strike “specifically targeting sexual harassment.” It’s also apparently the first widespread strike inspired by the #MeToo movement specifically. Previous McDonald’s-based strikes have focused on better hourly wages for workers. This latest effort has been bolstered by “‘women’s committees’ formed by employees at dozens of McDonald’s restaurants across the U.S. Lead organizers include several women who filed complaints with the U.S. 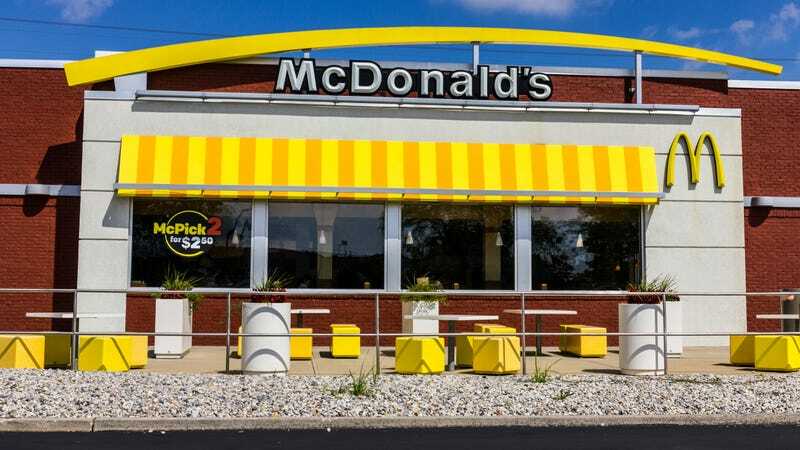 Equal Employment Opportunity Commission in May alleging pervasive harassment at some of McDonald’s franchise restaurants.” McDonald’s has responded to the strike announcement by defending its current policies, and saying it is investigating having outside consultants coming in to perform further sexual harassment training.